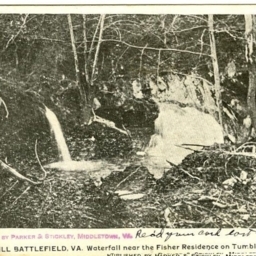 Postcard showing a picture of a waterfall on the Fishers Hill Battlefield near the Fisher Residence on Tumbling Run. 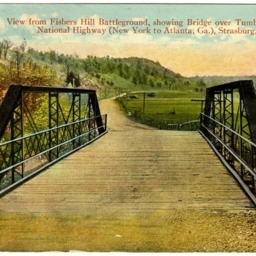 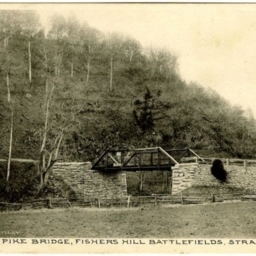 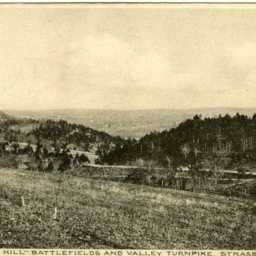 Postcard showing a picture of the Valley Turnpike at Fishers Hill Virginia. 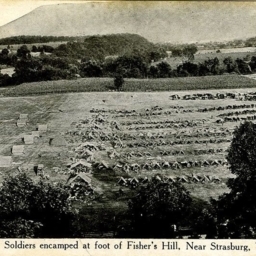 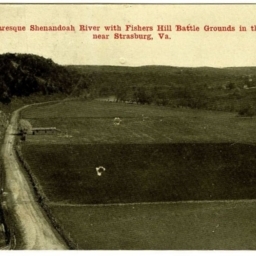 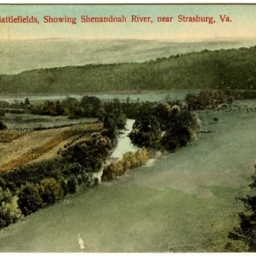 Fishers Hill Battlefields, Showing Shenandoah River, near Strasburg, Va.
Color postcard with a picture of the Shenandoah River at Fishers Hill near Strasburg Virginia. 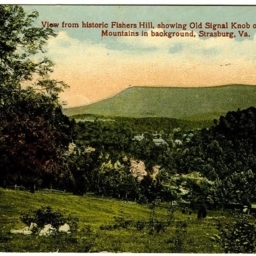 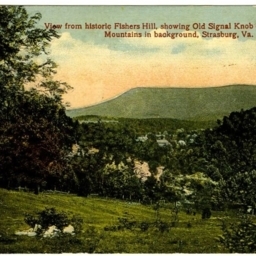 View from historic Fishers Hill showing Old Signal Knob on Massanutten Mountains in background, Strasburg, Va.
Color postcard with a picture of the Massanutten Mountain and Strasburg Virginia taken from Fishers Hill.